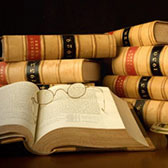 All material contained on any this website is protected by federal and international copyright laws and treaty provisions and may not be reproduced, copied, edited, published, transmitted, uploaded, distributed, publicly performed or otherwise used in any manner, except with the prior written permission of The Law Offices of Deborah R. Bronner. All material published herein are protected by copyright, trademark, and all other applicable intellectual property laws, and are owned or controlled by The Law Offices of Deborah R. Bronner or the party credited as the provider of such content. You agree that all information, feedback, questions, comments and submissions to any posting forum that you provide to us will be deemed to have been provided to us on a non-confidential and non-proprietary basis, and you grant The Law Offices of Deborah R. Bronner a nonexclusive, royalty-free, perpetual, irrevocable, and fully sub-licensable right to use, reproduce, modify, adapt, publish, translate, create derivative works from, distribute, and display such content throughout the world in any media.